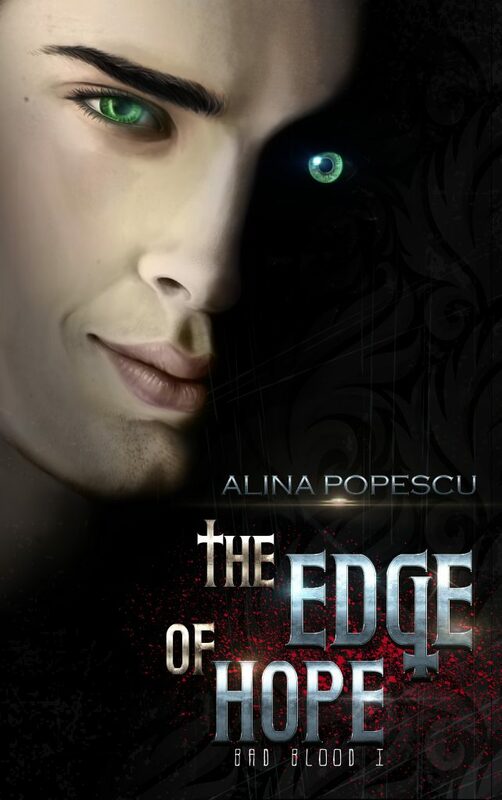 There were many things I liked about The Edge of Hope. The set-up and origin story for the vampires offered something different from the usual fare, which was a refreshing change, and I liked Alexa's journey as she tries to come to grips with the vampire world. I really enjoyed the development of the main romantic relationship, which had a slow build, and by the cliff-hanger ending, I found myself wondering what would happen next. On the down slow, I think the pacing suffered at times. Alexa ends up telling her backstory to three different people during the course of the book, but that meant we, the readers, got it three times too, which felt a little repetitive. However, as I said, that didn't stop me wanting more when I reached the end. As such, this was a 3.5 star read for me. I liked it, but it had a few minor issues.